Coastal Karnataka, Malnad region and central interior Karnataka very likely to receive widespread moderate to heavy thundershowers/rain whereas other parts of the state very likely to receive scattered light to moderate thundershowers/ rain in next 24 hours. The Depression has currently weakened into a well marked low pressure area and has moved north northwestwards. 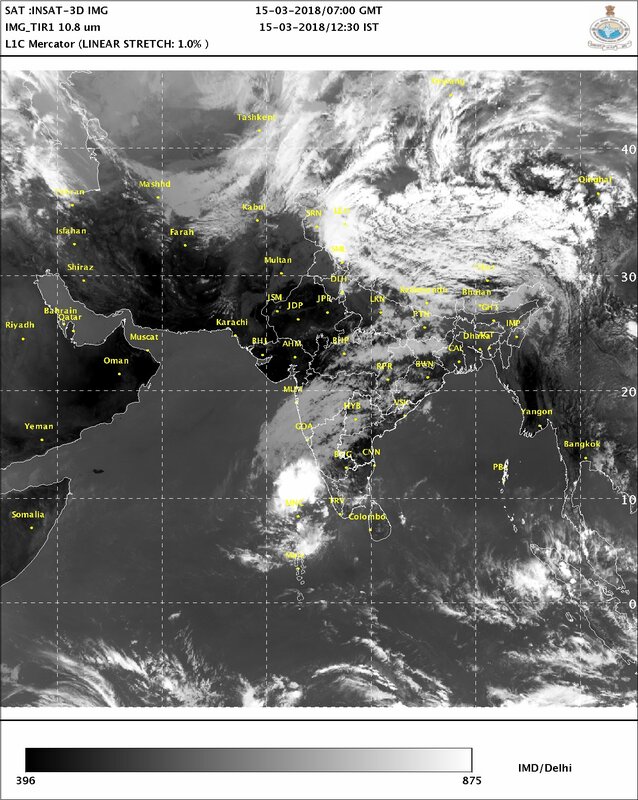 The system is currently over Lakshadweep and adjoining Southeast Arabian Sea. Thereafter, the weather system is expected to further move in a north northwestward direction gradually weakening over Southeast and adjoining east-central Arabian Sea. As per Skymet Weather forecast, The Lakshadweep Islands are expected to witness light to moderate rainfall activity during the next 24 hours. During this period, some rains are also expected over the Coastal Karnataka as well as Konkan and Goa region. As per India Met Department,The well-marked ‘low’ would still able to generate rain or thundershowers with isolated heavy falls over Kerala and Lakshadweep until tomorrow. Squally winds reaching up to 45 km/hr in speed and gusting to 55 km/hr have been forecast over the Lakshadweep area and adjoining seas off South Karnataka-Kerala coasts until tomorrow. Lakshadweep Islands was lashed by very heavy rains. In fact, isolated pockets even recorded three-digit rains during this period. During the last 24 hours from 8:30 am on Wednesday, Minicoy recorded a whopping 167 mm of rainfall, Amini Divi saw 60 mm of rains during the same time frame. Other parts also saw some rains including Agathi at 8 mm.